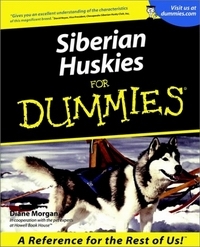 Siberians are pack animals (think sled dogs). They need a pack. 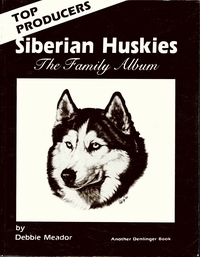 Some Siberians will be OK with an all-human pack. If that pack all goes off to work or school together, the Siberian is alone. Lonely Siberians can be destructive huskies. Crate training and companionship with other dogs are helpful. Siberians shed. Unlike short-haired breeds which shed constantly, Siberian shed copiously twice a year. Generally in the spring and the fall, Siberians have a complete makeover hair-wise. They literally blow out their coat. Their coat consists of an undercoat and guard hairs. Some Siberians will shed both coats at the same time. Others will shed over a longer time, shedding first the undercoat then the guard hairs. If immaculate sofas free from dog hair are your things, a Siberian is probably not. If you do not like cleaning up little hair balls, a Siberian is probably not your thing. Another issue to consider is pet allergies. Many people are allergic to dog or cat hair. Although Siberian Huskies have little doggy smell and are not one of the most allergy-causing breeds, a serious pet dander allergy of a family member should have you reconsidering a dog for your choice of pet. Are Siberian Huskies good guard dogs? Not particularly. They are however a good deterrent due to their wolfish appearance. They have been bred for generations to be friendly towards human beings and so do not have guard dog instincts. They would probably lick a intruder to death. Are Siberians good with children? 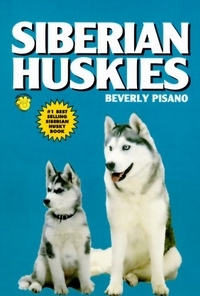 Yes, they are, but it should be borne in mind that Siberians are very playful so if you have a toddler that is not too secure on his feet the dog might knock him over unintentionally. They love lots of activity and will never intentionally bite or otherwise harm a child. As any dog should not be left alone with any child in it's young age. Do all Siberians have blue eyes? No, not all Siberians have blue eyes although it is quite a common for the normal population to think so, The Siberian husky has many eye and coat colors in the breed. Other colors include brown, yellow and green. Some dogs have got bi-colored eyes which means one eye of one color while the other eye is a different color. Some dogs have got parti-colored eyes which means, for instance, a brown eye with a blue area in it or some other combination in one eye. This is not a fault, merely a matter of pigmentation. It is therefore quite acceptable in the breed. Are blue eyed dogs sensitive to sunlight? No, Siberians are generally not overly sensitive to sunlight due to the fact that they would suffer from snow blindness if they were. Do they suffer in hot climates? They become a bit less active and find cool areas to lie in but their coats insulate them from heat as well as cold. It is not a good idea to heavily exercise your dog in the height of a summer but on the whole they cope pretty well. They are light boned animals and so dissipate heat quite easily. 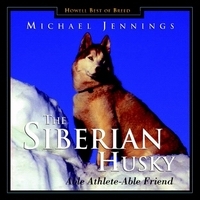 People commonly are of the romantic belief that Siberians are part wolf, but they are not. They are a domesticated dog breed that has been used and bred by man for many centuries. They are often used in movies to depict wolves which practice is largely responsible for perpetuating this myth. Here is a good link to read about the Wolf vs.. 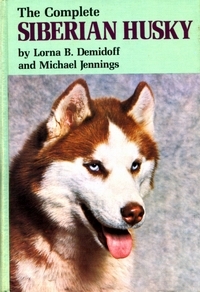 The Siberian Husky And Alaskan Malamute. Do Siberians need large areas to live in? No they don't. When released into the much larger exercise area they run around for about twenty minutes and then return of their own accord to the kennel. Obviously there are practical limits on this and it would be cruel to keep a Siberian in a very small area. Is a Siberian an easily trained dog? Not really. They are highly intelligent and often their disobedience is not because they don't understand what you require but rather because they just don't want to do what you are asking. They are strong willed and can be quite insolent, simply disregarding their owners. On the other hand, if your Siberian respects you it can be quite cooperative. 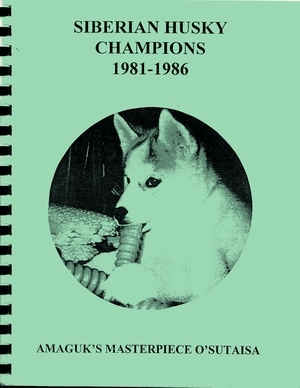 There are many Siberians Huskies that have obtained Obedience titles and also Agility titles you just need to train a lot more than other breeds. Obedience training should be a must for all dogs of any breed, but most especially for Siberian Huskies. Their natural intelligence and independence can get them in trouble. 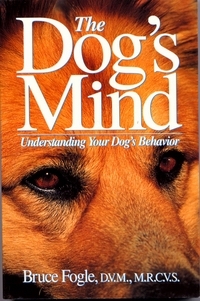 Obedience school can help them respect you as an owner and can give them definite boundaries. A Siberian Husky with clearly defined rules is generally a happier dog. If a Siberian Husky is not properly trained, she can become quite a nuisance as SHE will assume control of the day-to-day operations of the household. Do Siberians eat a lot? No, they are generally light eaters. A good quality commercial dog food will provide a perfectly satisfactory diet for your Siberian. What sort of enclosure do Siberians require? Good fences are essential In separate chain link and bite through light aluminum wire. They can climb through holes in chain link that are no more than 6 inches long. Once out of an enclosure, they tend to run. They may run for a long time and for many miles. Their original purpose in life was to haul a light load at moderate speeds over long distances. Even though you might not run dogs with a sled, their instincts are first and foremost as sled dogs. The Siberian Husky also has a high prey drive. While your Siberian Husky is on the loose, she could be endangering the neighbors chickens, cats, small dogs and even goats. A dog at large runs the risk of being shot, poisoned or hit by a car. Here are a few tips on safely containing a Siberian Husky. We do not recommend the use of "invisible barrier" fences or underground fencing. This containment method does not work well with most Siberian Huskies. They will endure the short burst of pain in order to indulge their greatest love: running. In addition, the battery operated collars may run low of power, may be removed by someone and may be chewed off. The underground fence will also not protect the dog from outsiders, such as other animals or bad people, who may threaten them. 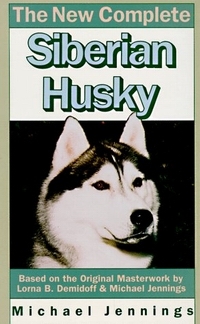 Unlike some herding dogs, such as the Briard or the German Shepherd, Siberian Huskies do not conceptualize boundaries well. They need a physical boundary to remind them! A fenced-in yard is a must for a Siberian The chain link or privacy fence should be at least 5 feet tall. A six-foot fence is a better precaution. A responsible Siberian Husky owner will make frequent perimeter patrols to ensure that there are no holes in the fence or under the fence. Siberians like to dig. They will often dig under a fence and can escape through the smallest hole. There are several ways to deter a Siberian from digging. The least expensive is to run a hotwire along the perimeter of the yard using a charger designed for livestock. This charger has a slightly higher kick which can penetrate the Siberian Husky’s thick fur. It usually takes about two or three times before they associate the kick with the perimeter. Another method is to place the bottom of the fence on concrete or wood. Wood can absorb the elimination odors and can warp and rot. Concreting the bases of the fence into the concrete is probably the best method. Another method is to attach a 12-inch length of wire fencing to the base of the fence. This should be buried in the ground inside the fence forming a u-shape. If the Siberian digs at the base of the fence, it hits the sharp edges of the buried wire and is deterred from digging there. Can a Siberian be trusted off the leash? No, people often make the mistake of taking their dog to a park and releasing it from the leash only to watch it disappear over the horizon. Being a sled dog means that it is bred into the dog to run faster and farther the louder you shout at it, so shouting "come here" isn't going to work. Should you take a chance with this you'd better be a marathon runner. They can be. They do not bark but they do howl on occasion as well as make various lower levels of noise. As a rule they are not too noisy. There is an operation to stretch their vocal cords and change them from soprano to baritone should it become a problem this is called debarking. They are pack animals and don't cope very well with being alone. It will be alright if there is a person or some other dog available for company. The other dog need not be a Siberian. Do Siberians get on with cats? Only if they grow up with them. They might see a neighbors cat as a hunting opportunity. Contrary to popular belief, Siberians (or any other dogs) do not need to be shaved at any time of the year. Not even the so-called "dog days of summer;" in the deep South. Dogs have natural ways of cooling themselves and shaving them can actually hinder this. The Siberian Husky is generally free from skin problems unless you shave them. Then, they are more susceptible to skin allergies, sun burns and parasite infestation. The treatments for these problems can then lead to more serious conditions. Your Siberian will appreciate your air conditioning vent inside your house. He will also appreciate plenty of fresh water and shade. 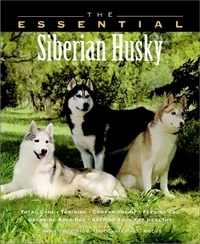 What is the difference between a Siberian Husky, an Alaskan Malamute, and an Alaskan Husky? Although all of these breeds (and a few others) trace their heritage to northern climes, there are some distinct differences between them. The Malamute is a large, draft animal. 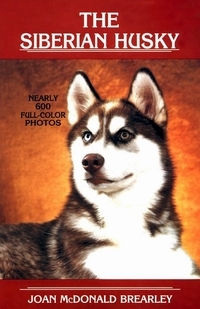 Although similar in appearance to the Siberian, you will find some notable differences: the Malamute is about double the size of a Siberian; the ears of Malamutes are also set much lower on a much broader head; and Malamutes tend to bark more than Siberians. 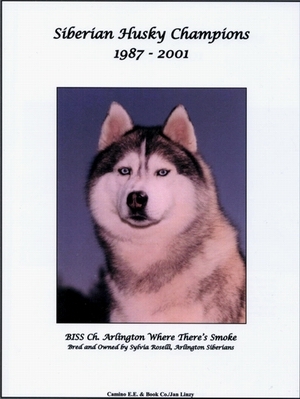 The Alaskan Husky is not a pure-bred dog. Generally, the name "Alaskan Husky" is one given to a cross-bred animal produced for sled dog racing. This is generally some sort of hound (for more of a sprint-racing animal with longer legs) crossed with a Siberian (for more ability to survive in the cold). Siberians are a pure-bred dog, domesticated long ago by the Chukchi natives of northern Siberia. They are more of a distance runner, and a much more moderate dog than the Malamute. Which makes a better pet, a male or a female? Each gender has its positives and negatives. Males are larger than females, and if left intact tend to mark their territory. Females, on the other hand, are smaller and if left unspayed will come into season twice a year. Both can make wonderful pets. The relative size may help you make your decision. 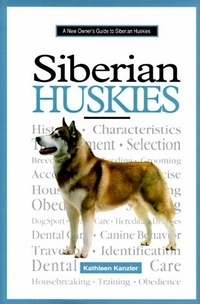 If you already have a dog, its gender might help you make a decision about your Siberian. However, for the health of the dog, and for your peace of mind have it spayed or neutered. What is the difference between "pet" and "show" quality? If you have no intention of showing or breeding your Siberian, a breeder may recommend a "pet" quality dog rather than a "show" or "breeding" quality dog. Generally, at the time of selling a dog, a breeder will evaluate it based on the Siberian Husky Breed Standard. This is a word description of what the perfect Siberian should be. Unfortunately no dog is perfect, so a breeder may evaluate the faults of a dog, and that some dogs with few faults demonstrate "show" potential while others with more or more serious faults do not. Many of these faults are not even noticeable by others, and should not keep the dog from being a wonderful pet. Should the breeder feel the faults are significant enough that the dog should not be bred, he or she may sell the dog on a contract requiring spaying or neutering, or on an CKC "Non Breeding registration" which makes offspring from the dog ineligible for registration. However, even if a dog has such a fault to keep it from being bred, it can still make a good pet. 2 different judges. These points are awarded based on the number of dogs in actual competition--the more dogs, the more points. (SD Requirement: Total accumulation of at least 50 miles in not less than 3 successfully completed races. in not less than 3 successfully completed races.